“Works of Heart” celebrated its 20th Anniversary on Saturday night with a Silent and Live Art Auction at the “Progress Energy Center for Performing Arts” in downtown Raleigh. 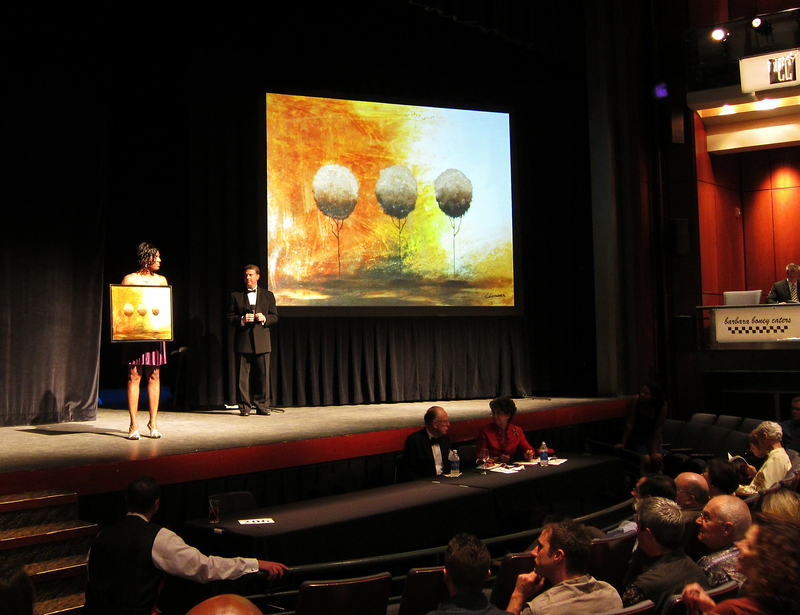 Every year, hundreds of artists donate their artwork to benefit the “Alliance of Aids Services – Carolina“. This year with more than 230 artworks, only 45 were selected for the live auction. 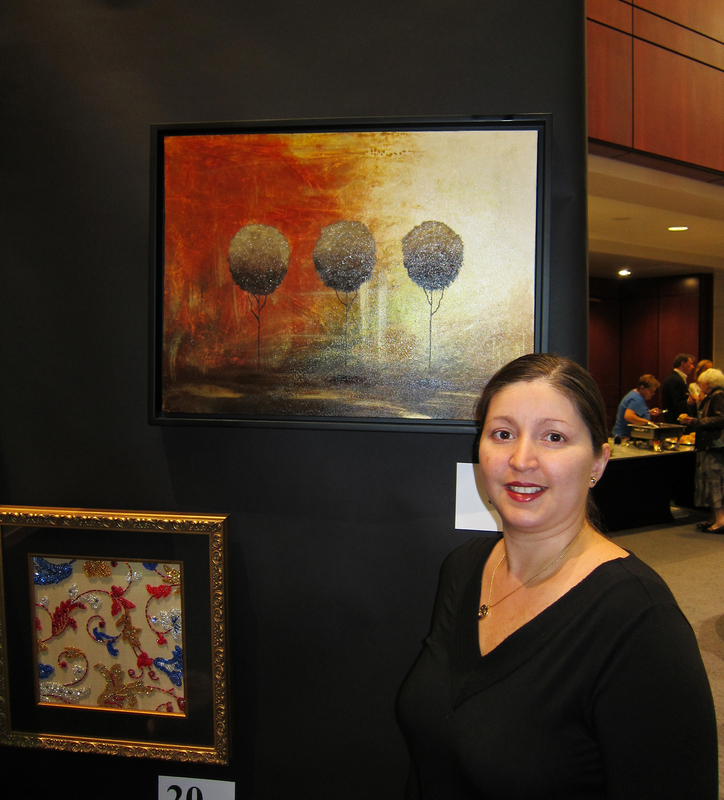 I was very excited when they told me that my painting “Once Upon a Time” was one of the few selected for the live auction. I can’t wait to participate again next year, and thanks to all of you who contribute to this great cause. This entry was posted in News / Events and tagged Abstract Paintings, Live Art Auction on October 11, 2010 by Carmen Guedez.